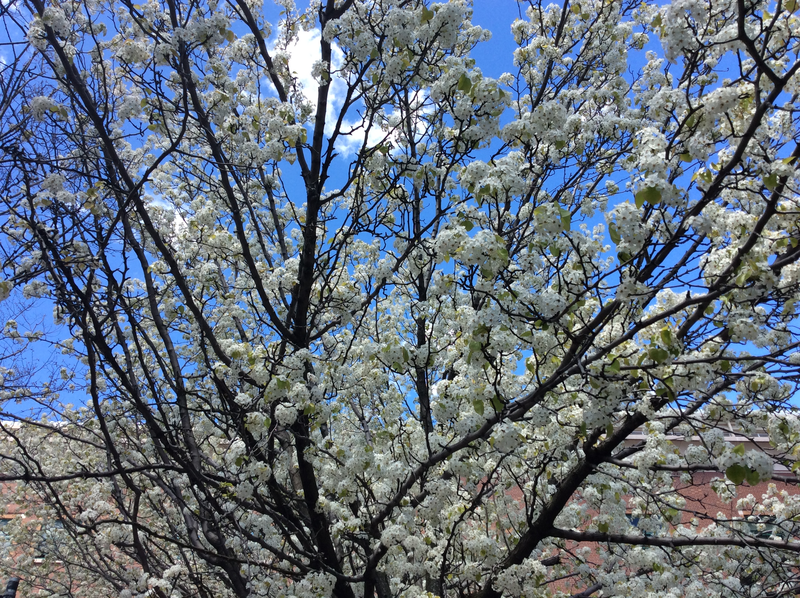 A tree in a school yard, East Harlem, spring. 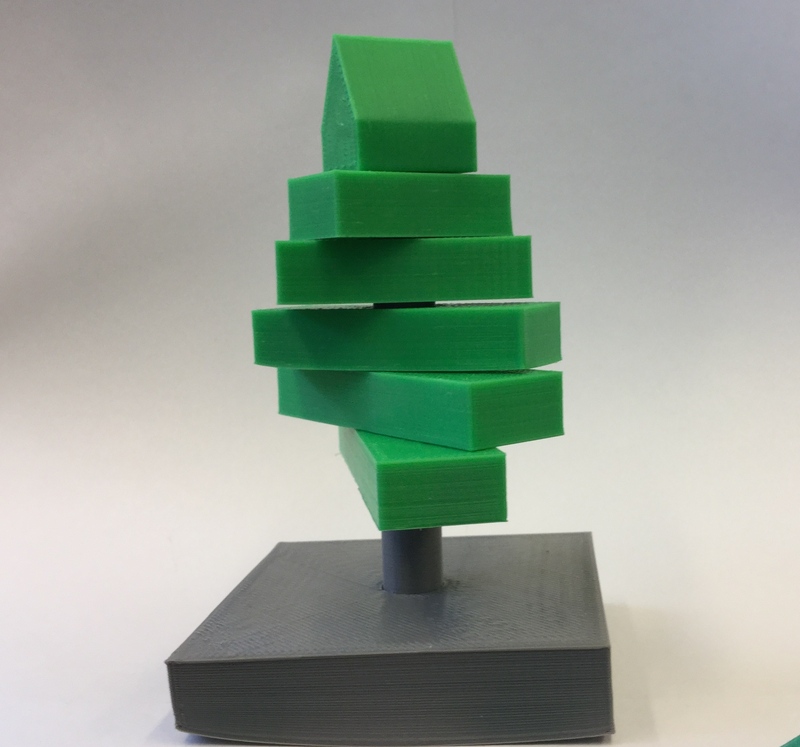 This is a 3D printed tree that has movable branches. 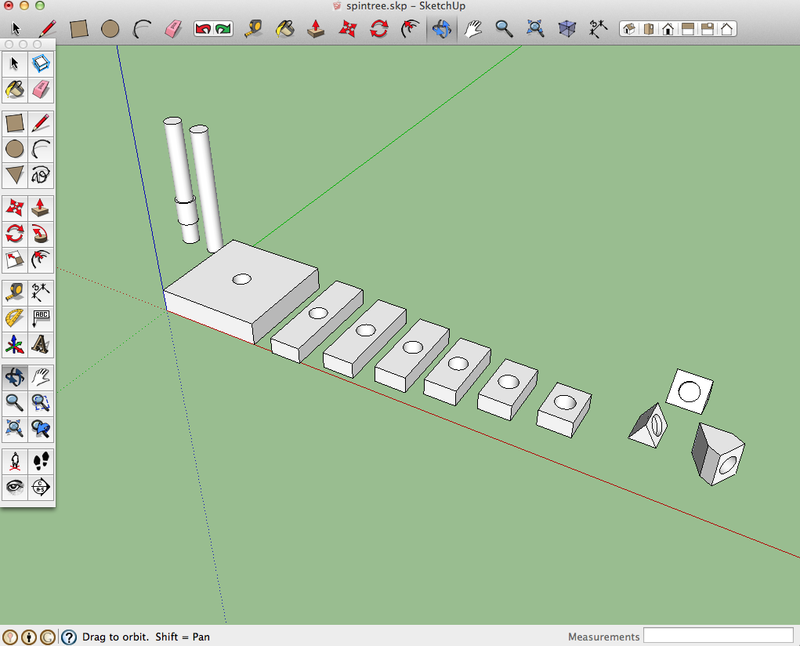 I made it in Sketchup of simple geometric shapes, each rectangle just a wee bit smaller than the lower one. 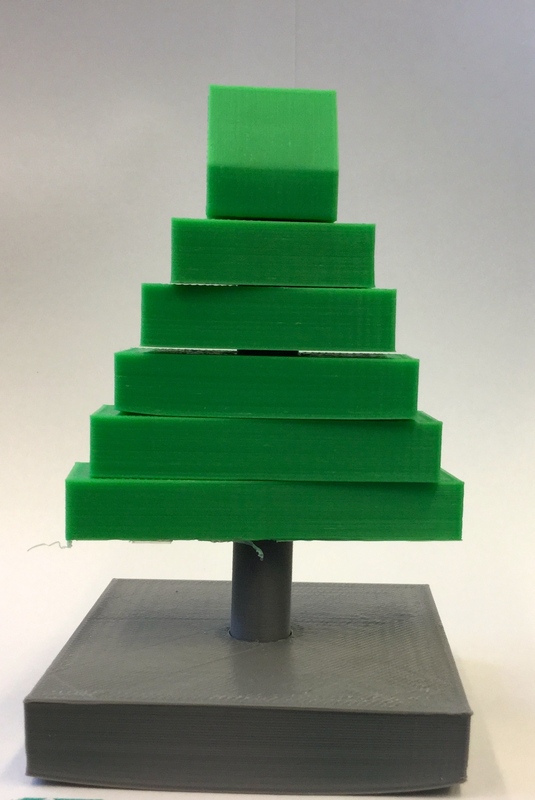 The top part of the tree was actually a bit of challenge to create, as I had to create the triangle shape, but then make a partial hole through one side of it. There are three versions of it in the illustration above. 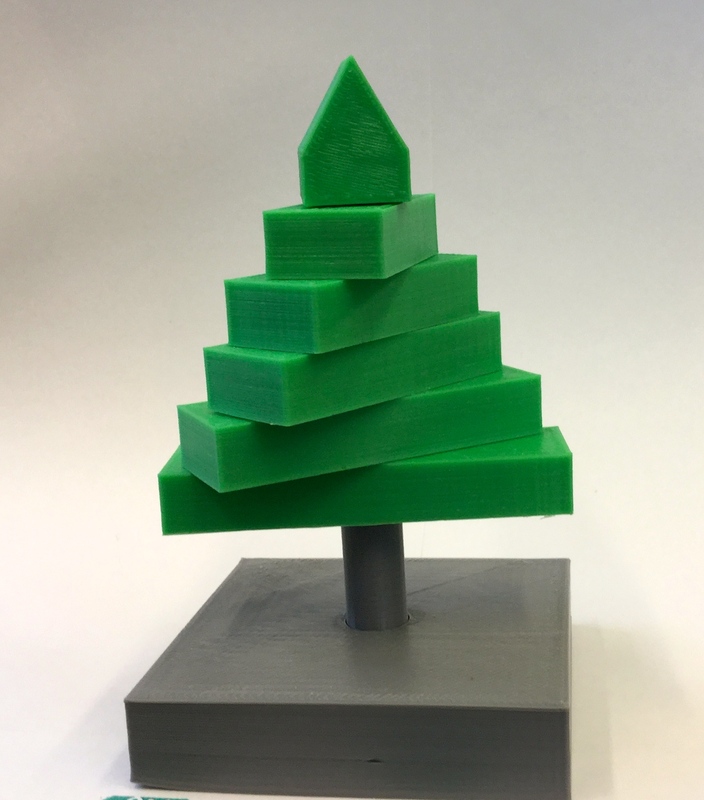 I exported each piece separately into Makerbot and then printed them one at a time. Here are some more views of the tree.